You've heard of the 7 habits of highly effective people. But, what you might not realize is that there's a SINGLE HABIT so powerful, that it will change your life and the lives of every person you love. Your team. Your Company. Everyone. 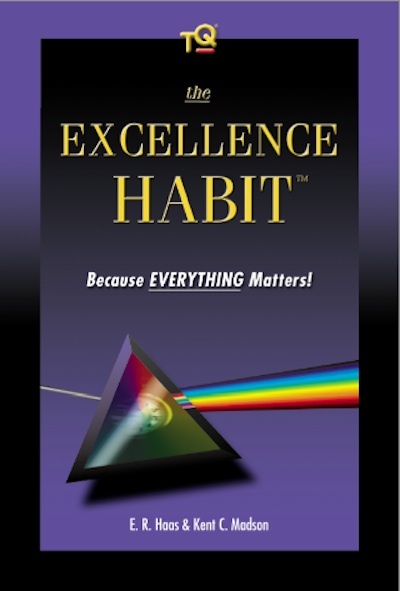 The Excellence Habit is for people with a HIGH DESIRE for High Achievement... people who want MORE out of life: More time for what matters... true independence... and a career that is both, emotionally and financially rewarding. PLUS, you will receive our highly acclaimed Daily Lessons In Excellence Training program. This is not a quote or meditation-styled email. It is serious training for people who are committed to producing exceptional results. Not for you? Cancel anytime. No purchase required. The download link for the book will be sent to you via eMail. To qualify: All required fields must be completed. Any information you provide -- here or anywhere on our site -- is 100% private and confidential. We never sell, rent, exchange or give our customer information to others. Site access and use subject to Terms of Service.